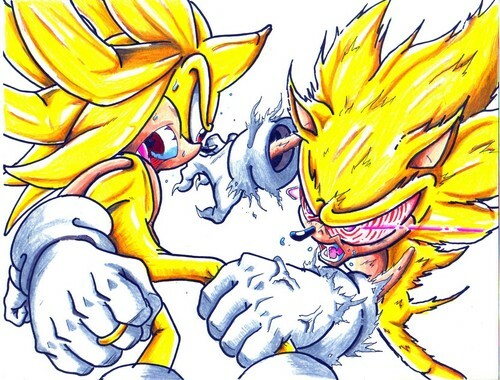 super zero vs evil sonic. me vs evil sonic. HD Wallpaper and background images in the Sonic the Hedgehog club tagged: evil sonic. This Sonic the Hedgehog photo contains anime, comic book, manga, and cartoon. There might also be banana, edible banana, and musa paradisiaca sapientum. Who da hell is Zero?